Search through the latest One Ocean Condos for Sale on Paradise Island below! 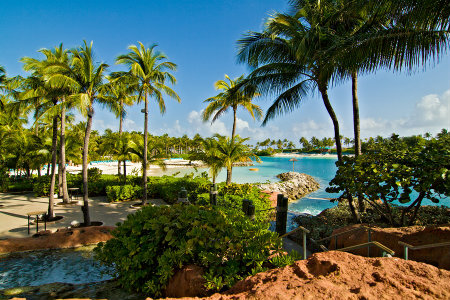 One Ocean is considered by many to be the most envied address on Paradise Island. The beautiful luxury residence is located right on the waterfront, offering brilliant views looking out across Nassau Harbor. Each of its two and three bedroom units are exquisitely designed with luminous floor-to-ceiling windows, imported porcelain tiles and an ultra-modern kitchen outfitted with state-of-the-art appliances. Whether you're looking for a second home, vacation property or investment opportunity, One Ocean is a luxury condominium complex unlike any other in the Bahamas! Take a look at the unrivaled One Ocean condos for sale available below, or learn more about the luxury amenities awaiting you in your new home away from home. One Ocean is made of up of many premier, luxury units in a whole range of amazing floor plans. These include 2 and 3 bedroom varieties, in addition to incredible 4-bedroom penthouses to cap it off. The well-built condos boast incredible 10-foot ceilings, floor-to-ceiling windows and intelligent, open floor plans. The designs are meant to flow from the inside to outdoor patio spaces. The expansive patios and balconies are made for entertaining, and are sure to be the setting of many luscious hours relaxing in the sun. One Ocean has earned its name from its premier location, towering over the beaches and other highlights of Paradise Island. Just across the street is the One and Only Bar as is the Ocean Club Golf Course. Among the many perqs afforded residents of One Ocean is the opportunity to take advantage of membership in that exclusive golf club, as well as fantastic access to the many stellar amenities of the Atlantis Hotel and Casino, just down the street. Atlantis boasts popular restaurants, bars, boutique shops and casinos. If you'd like to learn more about the luxury One Ocean condominiums, please contact ERA Dupuch Real Estate online or call (242) 393 1811 to get in touch with an experienced Bahamas real estate agent.